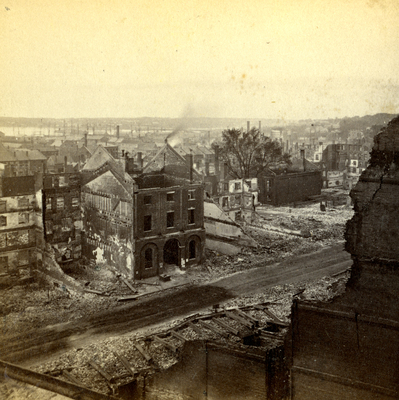 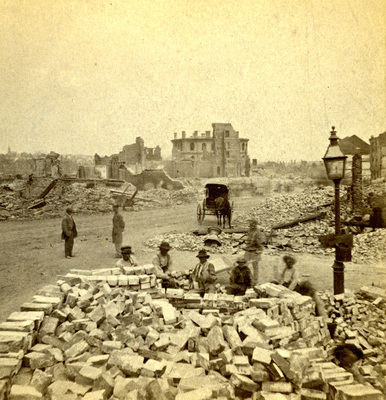 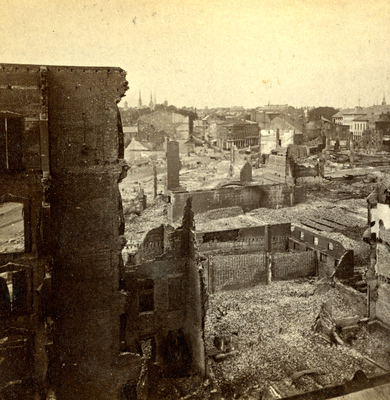 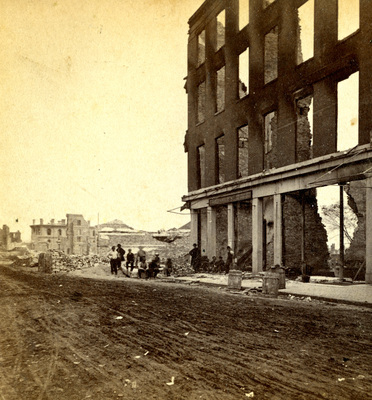 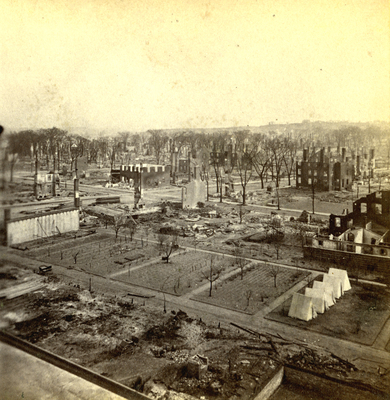 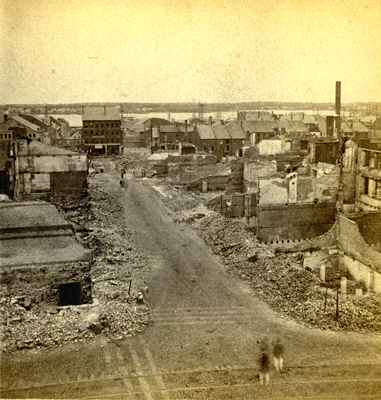 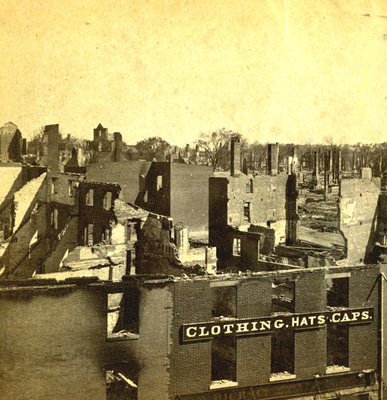 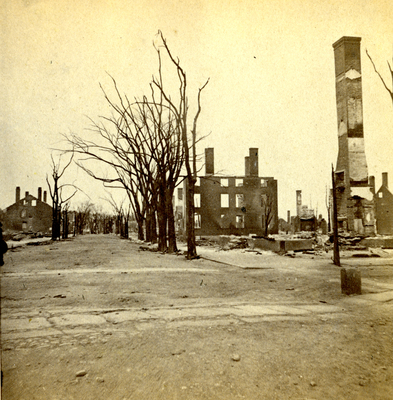 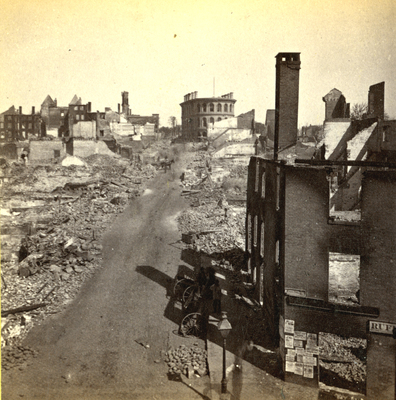 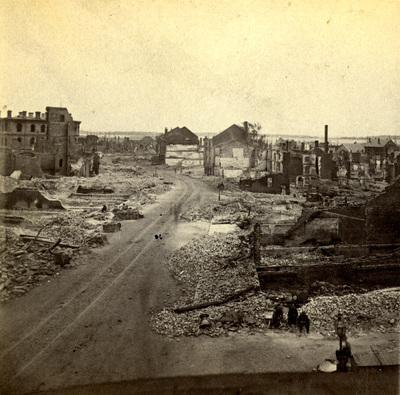 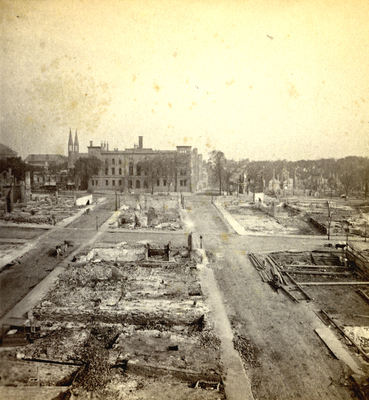 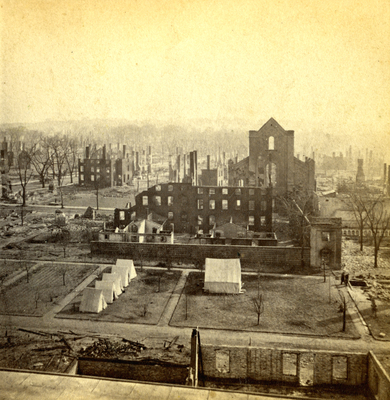 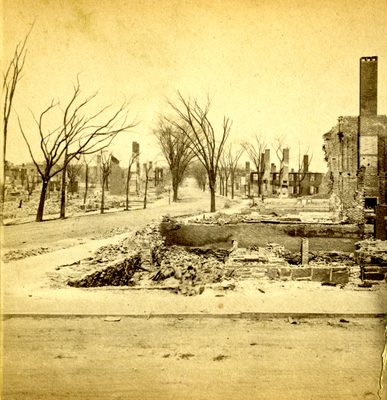 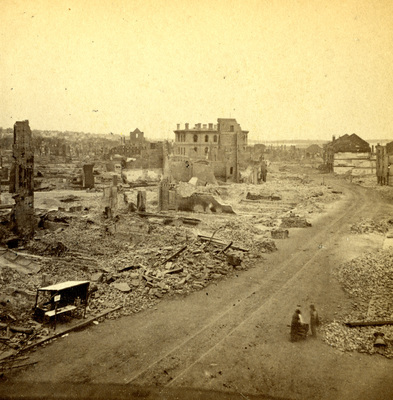 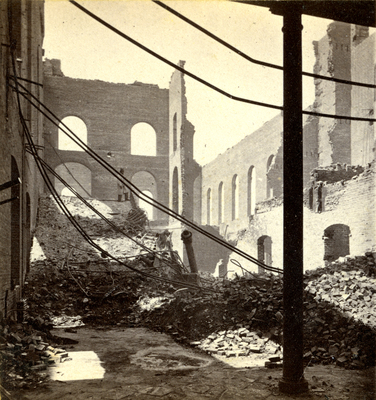 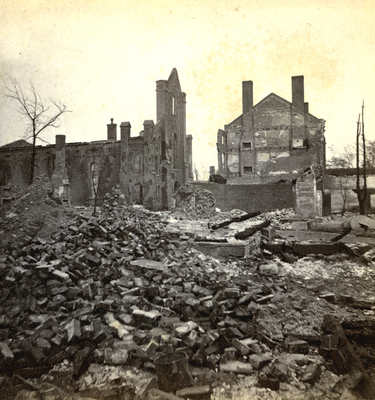 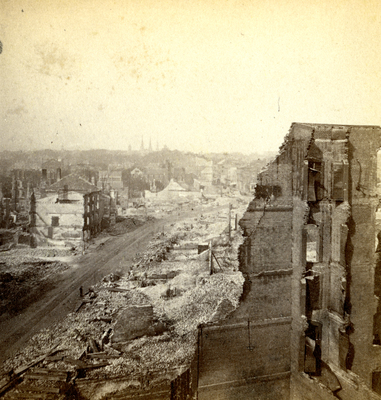 Scans from the Library's collection of 29 original Stereoscopic photographic views showing the aftermath of the Great Fire of 1866, which devastated the city of Portland during the afternoon of July 4th, 1866, as the city was anticipating an evening of holiday festivities. 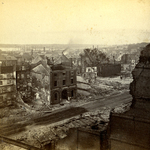 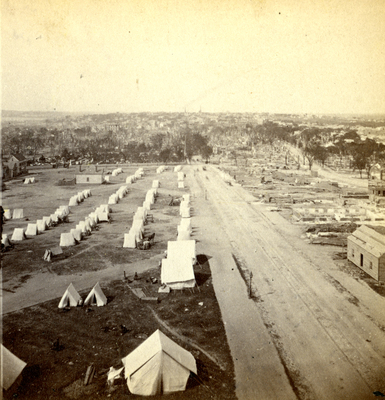 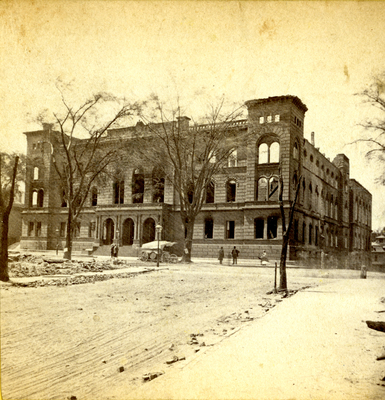 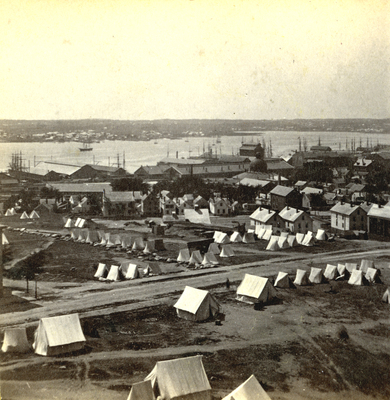 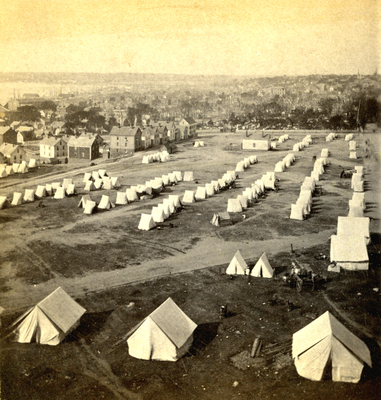 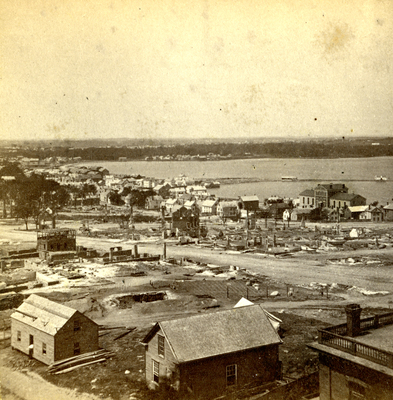 The photographs were taken between July 12 - 14, 1866, by John P. Soule, 199 Washington Street, Boston, Massachusetts. 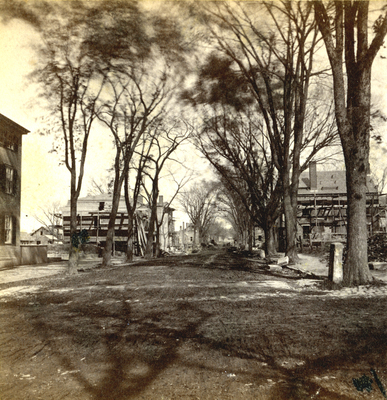 Exchange Street, looking South, from Middle Street. 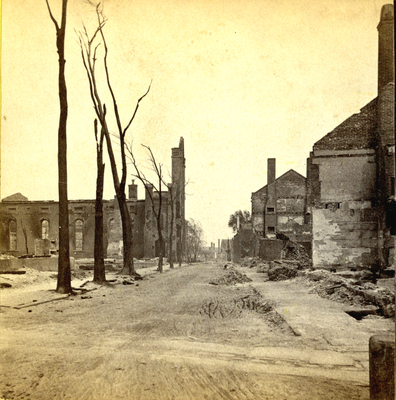 Saint Stephen's Church, Pearl Street. 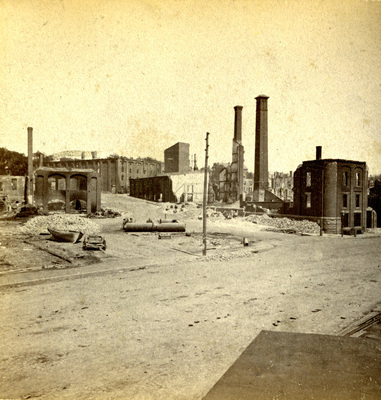 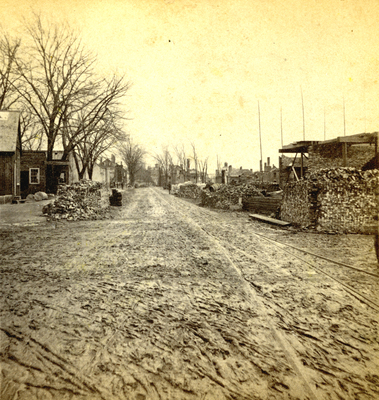 Burnt District, looking Northeast from Exchange Street. 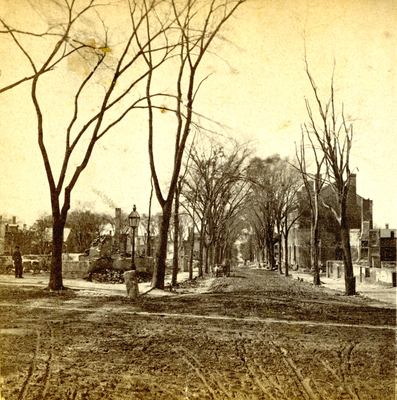 Congress Street, from Pearl Street, Looking Northeast. 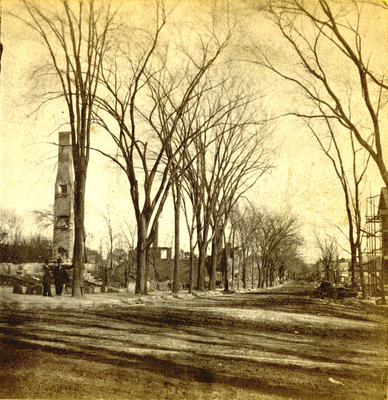 Cumberland, from Pearl Street, Looking Northeast. 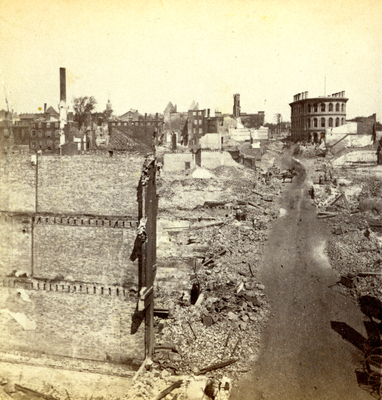 Federal Street, from Pearl Street, Looking Northeast.